Where are the Datacentric Jobs? 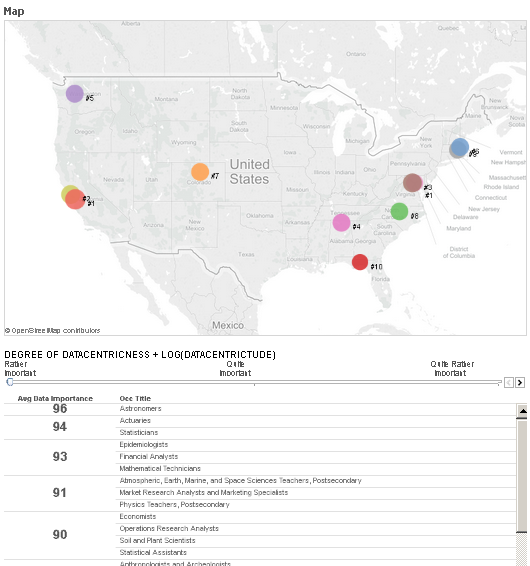 Visualization based on analysis performed in the "The Importance of Data Occupations in the U.S. Economy" report created by the Economics & Statistics Administration agency but looking at metropolitan areas instead of states and interactively allowing for a greater focus on the more datacentric occupations. linked with various levels of educational attainment. 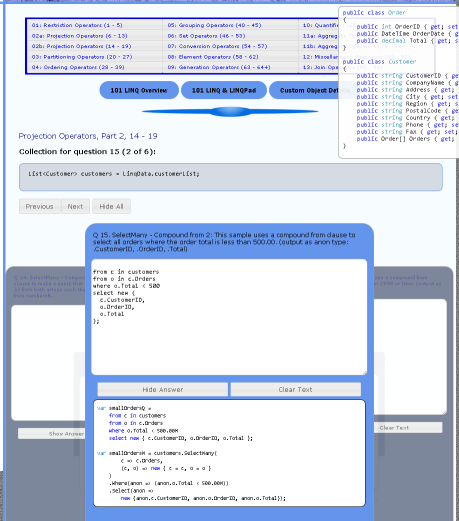 A series of fill-in-the-blank exercises based on the 101 LINQ Samples supplied by Microsoft.